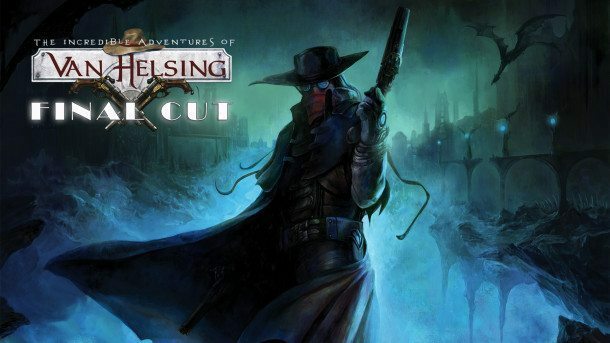 In the last month, we've been working hard on migrating to Gamesparks (a backend transfer, to be precise), so online functionalities weren't available in The Incredible Adventures of Van Helsing: Final Cut. This work is now finished, and an update should be available on Steam right now. It took a bit of time, but we're happy to announce that with this update, online functionalities have been restored, and now you can log in with your account. We're sorry for the inconvenience this process might have caused, but this had to be done as our previous provider discontinued their services. We know this problem lasted for a longer time than expected, and we find this as troublesome as you do - if you were affected, please write an e-mail to [email protected], so we can make it up to you. If for some reason you're still experiencing problems, again, contact [email protected] with a detailed report on the situation, so we can help you immediately. Thank you again for your patience, feedback and support, and have a great time in Borgovia! UPDATE: There's a new redeem page for Final Cut and it should work now correctly. Hi. I didn't play in Van Hellsing: Final Cut for some time and when i run it today i notice that my account was deleted, so i created new account but i'm still unable to login because of some network error. is there any possibility to do something with that ? Hello there! Me and my friend got problem with multiplayer. We can't connect to our game. I know that transfer is finished and after that we could play together, but few days after the last update, once again we cannot connect. We tried 2 different PC's, turning off firewall didnt do any good. Is multi playable now, or is it only our problem? Thanks for letting me know. I`m not sure its GoGs issue or? why cant i login the game? everytime i get network error? Is there something problem with my computer or your server? I use gog version toot, i confirm it doesn't work. Gog version doesn't get the last update that must resolve online issue. And what about GOG version? It does not seem working still!? BTW - how edit/delete post? Steam version noe working correctly - THX Neocore - nice gift at weekend - this is a good game. I say "hurrey" to fast - where is other then english game version? Now i can play but i lost all my glory points and all my perks disappear : can you do something about this please ?? UPDATE: There's a new redeem page for Final Cut and it should work now correctly. GOG version please!!!! I am having this exact same problem when I log in. My main character Constructionor "Karl Rutgers" crashes the game as soon as it starts to download. The game never loads his avatar, it just displays Karl's name and crashes. I don't know if any other characters created and played in Online Mode will have the same problem. Another problem introduced by the patch is that in Offline mode, leaving Markovia by the south gate triggers a Runtime Error crash when DX 11 is selected under Options. DX 11 was working fine before the patch. My system is running Win 10 Pro Creators Update. I have 2 Geforce 1070s in SLI and an Intel i7-6700K running with 64gb of ram. DX 11 should not be a problem for me, it's stable whereas 12 is still iffy. I've luckily got the login to work, and it seems my characters are all there, except one character when I switch to their character tab it always seems to crash my game before seeing their avatar load. Haven't played the game in a while so I couldn't tell you which class it was, but I'm curious what would cause a character file to cause the game to crash immediately on switching to their tab. If there's any information I should attach / post feel free to reply & message. Hopefully going to get some friends into the game this weekend. Hi. My game crashes when it tries to download characters from the cloud aswell. I sent an e-mail, too. I hope to receive reply as soon as possible. I've noticed a bug with final cut. When I logged in, I had all my abilities and their mastery points. However, all of the power up points were gone. The skill point costs weren't refunded, the power ups were just gone. Anyone else having this issue? What's about GOG-version? I still have trouble with connection. Yes that's a known issue and will be fixed as soon as possible. I and many other user have problems under Win7. The Game DONT starts anymor. other Win10 user writing about crashes. you know the prolem and working on a fix? Ich habe das problem das das spiel mitlerweile nicht mehr startet. ist wohl ein win7 problem mit fehlenden dll´s. andere win10 user haben crashes. gibt es schon meldung seitens neocore? also neocore macht meiner meinung schöne spiele mit liebe zu details.. aber was bugs nbd die informationspolizik angeht wird sich derzeit nich wirklich mit ruhm beckleckert. For now, please contact [email protected] (provide your SteamID in the e-mail). How can i recieve my Final Cut key? I got all three games on Steam but no Final Cut in my games list.